Subtraction worksheets are a great resource for students who need extra practice with this math skill. Our printable subtraction worksheets help kids work through math problems at their own pace to learn and reinforce what they're studying in school. 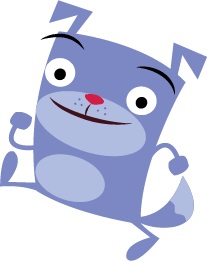 Kids will have fun as they work through subtraction math riddles, subtracting using a number line, and more advanced subtraction that requires regrouping. 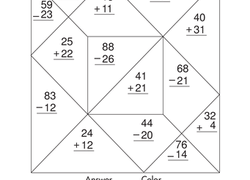 All subtraction worksheets offer clear instructions and colorful drawings to guide kids through the activities independently or with an adult. 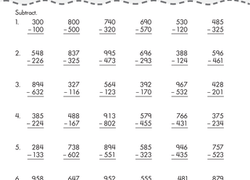 Our subtraction worksheets are designed for students with a wide range of abilities, from preschool through fifth grade. Lend your first grader a hand with beginning math. She'll practice both addition and subtraction with both vertical and horizontal equations. 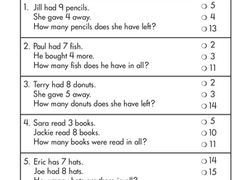 Kids solve addition and subtraction problems with one- and two-digit numbers to crack the code and find the mystery word on this first grade math worksheet. Practice makes perfect! Engage your first grader in some super, single-digit subtraction problems so she strengthens her math skills. This fun math worksheet gets kids to solve a tricky riddle while they practice addition and subtraction. Find out why lobsters don't share with this worksheet. This 2nd grade math worksheet will help your child master two digit subtraction with regrouping; the final step in subtraction mastery. Give your child practice with his math skills with this printable worksheet, which is all about subtraction and addition. Kids practice two-digit addition and subtraction as they work, and are sure to work up an appetite in the process. Talk to your child about what the word "minus" means. If we say four "minus" two, we mean that we're taking away two from the number four. When you say "minus," you are subtracting, or taking away, from a number. Use some visual aids to help illustrate the concept of subtraction for your child. Use counters, such as pieces of cereal or marbles, to show your child what subtraction looks like. For the equation 4 - 2 = 2, lay out four counters. Allow your child to count the entire number of counters displayed before showing your child that you are going to subtract two by taking them away. Have your child count the number of remaining counters to discover the answer to the equation. Once you've tried a few subtraction problems with your child using counters, have your child try a problem from one of the subtraction worksheets using the counters. Supervise this process and lend assistance when needed. Make sure to praise your child for his efforts and encourage regular subtraction practice. 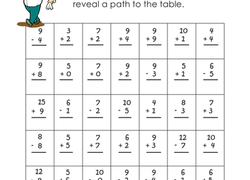 You can use any of our fun subtraction worksheets with your child to further your practice.